Encountering God - Encountering God Experience - Encountering God study on Encountering God source, Encountering God explained, Encountering God message and how the Encountering God message can enhance your life. 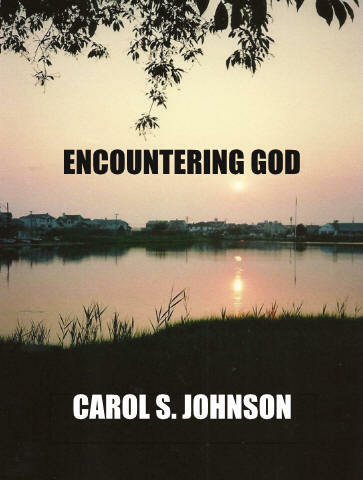 Christianity Oasis Ministry has provided you with this Encountering God book with Encountering God lesson. This Encountering God study and Encountering God story with Encountering God lesson looks at the Encountering God message and asks what does Encountering God mean, what is Encountering God, why is the Encountering God message important, what is the Encountering God message and how does Encountering God affect you. Encountering God is essential in the Christian walk. Understanding the Encountering God message is very important and learning about Encountering God can help you to overcome the worldly whirlwinds. 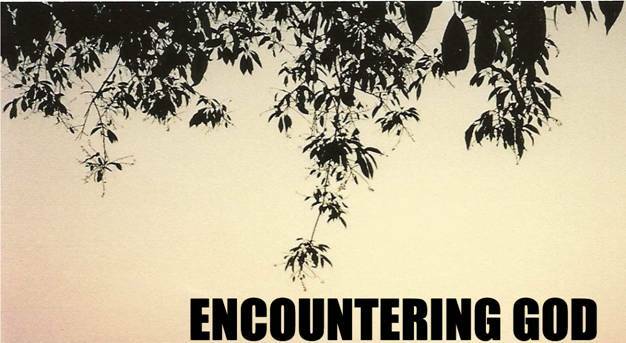 Let us delve into this Encountering God lesson with Encountering God message in this Encountering God book, shall we? ©2011 by Carol S. Johnson. All Rights Reserved. Printed in the United States of America. All rights reserved under Inter-national Copyright Law. No part of this publication may be reproduced, stored in a retrieval system or transmitted in any form or by any means-for example, electronic, photocopy, recording-without the prior written permission of the publisher. The only exception is brief quotations for printed reviews. "Groton Long Point, CT Lagoon Sunset"
The purpose of this book is to let you know that YOU are important to the LORD! He wants to "be there for you" in your times of need, when you make decisions, and in everyday situations. He wants you to talk to Him as you would a treasured friend. Although He knows your every need before you even think to tell Him, He still wants to hear from you. Over the years I have learned if I do things my way, I encountered problems; however, if I do it God's way I am always blessed. Hopefully these stories of everyday answered prayers for a regular person, like myself, will help you to understand God better and encourage you to follow Him all the days of your life. May you have many exciting and unique Christian encounters with God too. After I was graduated from FSU with my teaching certification, I received six months training with the National Lung Association to become a health educator. T had already finished my two and a half months textbook training in Richmond, VA, and was close to completing the field work in Lansing, MI, when I was asked by our director and a coworker what were mu upcoming plans. I answered that I had just been offered the Youth Activities Administrator position with the Lund Association in Houston, TX, and jokingly added, "and I'm going to marry a rich Texan." His fast reply was, "And she will too!" While I was in Houston, T joined a Christian church and was enjoying our pastor's class when I felt God telling me to start a singles' class, which I did. A teacher was provided and I organized the service projects and social activities. I teamed quickly that our group could consist of two to fourteen members, depending on who was in town, so I refused to allow low numbers discourage me. One Sunday the only ones in attendance were the teacher and me until a visitor-my future husband arrived. (THANK YOU, LORD!) At the was he had to be a Christian. After we got to know each other better, I invited him to Florida to meet my parents, and we became officially engaged. We were married six months later (and I might add, had a great life together). 1.Do you have a house-anything from a trailer on up? 3.Will you have enough food for a week? If you answered "yes" to all those questions, you are in the top 5% wealthiest people in the world! As I became closer to the Lord, I learned that words have power--power to tear down or to build up, so be careful of what is said. I started speaking blessings over my husband and son and both excelled. As I pondered my words, I remembered that years ago I had said I was going to marry (and I did) plus I specified a Texan (born and reared). I thanked God and commented two out of three isn't bad! But, after hearing those three questions, I readjusted my thinking and praised God. I'm not rich, I am wealthy! When Don and I were home group leaders, I noticed a hesitancy with some of our members, particularly the men, to jump in and pray for someone in need, especially guests. Well, one evening a new family showed up and when it was time for prayer requests, the father asked for prayer for his "prodigal" son who was behind bars. I emphasized that God has a special place in His heart for men and has placed them as heads of their families, so their prayers are strong. God sees the heart, not fancy or lengthy prayers. I also explained that although I am not poor, I try to never miss an opportunity to pray for someone who is struggling financially or just needs a boost, because it comes back to us. Our excellent intern volunteered to pray for our newcomer's prodigal son, and commented their son was also prodigal. Two weeks later the prodigal son's father excitedly announced that his jailed son was now asking to see a chaplain! But wait, there's more very shortly after that our praying father's son came back to the Lord and . . . he brought two of his friends with him! Like everyone, I've seen my share of horrendously wrecked cars with ambulance sirens screaming. So, when drivers speed past me weaving in and out of traffic, it frightens me. I don't want to be a statistic, nor see anyone else be one either for that matter. I am embarrassed to admit that when that scenario occurred, I would mutter under my breath, "stupid idiot." One day, after that happened, I felt a gentle nudge from the Lord. I sensed Him saying, "You have two choices: you can call him an uncomplimentary name or you may bless him with wisdom. I want you to ask yourself if you would rather be on the highway with an unsafe driver or one with wisdom." I replied, "Wisdom" and apologized for my words, which have power. Since then, I have felt even a greater amount of protection while traveling. Our church leaders explained this law so well that many of us have embraced it and allowed it to change our lives in a very positive manner. We were asked the simple question, "If we plant tomato seed, what do we get?" "If we plant apple seeds, what do we get?" "Would we get bell peppers if we planted spinach seeds?" The answer came back, "Absolutely not." Then they asked if we sowed friendship what would we get and everyone replied, "More friends." The same goes for money and a lot of other things, good and bad! My husband Don had heard sermons on the importance of tithing and on the law of sowing and reaping and mentioned that both the Bible (Malachi 3:10) and the pastors said it was okay to test God. Although we already tithed and gave offerings, he started increasing our giving and waited to see what would happen. Being busy, he forgot about the test until he received his Social Security summary of his income over the years. His income went straight up, THANK YOU, LORD! In the past, Shady Grove Church had a "Needs Night." At the beginning of the service, one of our pastors would ask if there was anyone in the congregation who had a need. When a hand went up, the pastor would call on the member or guest to state the item wanted. Then the pastor would ask if anyone had that item and if he/she did, he would have them "get together" to make the transfer. Or sometimes a member would have an extra item, like a twin bed or sofa, and the pastor would ask who needed it. One young lady, whom I believe was a guest, said she hadn't eaten in three days and tearfully stated she needed food. Our pastor told her she could obtain groceries at our People That Care drawing for some door prizes. One of the gifts was a $30 restaurant gift certificate. Rarely do I win something like that, but I told God that if He would let me win, I would give that lady the card. I WON, so went up to the podium to pick up my prize. En route back to my seat, I discreetly slipped the card into the lady's hand and sat down. The surprised, but grateful expression on her face meant more to me than any card. A couple of weeks later my husband Don came home with the good news that his company had experienced an excellent quarter and the boss, realizing the spouses had sacrificed too with the overtime, gave each instructor a $100 night on the town. We went to an early movie and spent the rest of the money on a nice dinner at a restaurant. We saw the law of sowing and reaping occur when we took home enough leftovers, which I love, for each of us to have two more dinners! Not long after we moved to the North Texas area, I learned there were opportunities available to work as a telephone prayer counselor for the 700 Club of Dallas. After a successful interview and training, I started ministering what a blessing!!! In January we had our fund raising appeals and although we were successful, we did even better bringing in more souls into God's kingdom. So, when we were threatened with weather so inclement that the roads and school would have to be closed, our director led us all in prayer that we would not lose this momentum. God graciously gave us a miracle, so we could continue to work. This scenario also happened a second time. We had a television weather man who was so exceptional, he is mentioned in our local history books. The next evening when he tried to explain why we were not hit by the ice storm, he just shook his head in disbelief and commented that he's never seen anything like that before. On one of the days, the icy weather came in and stopped before it got to our area. The second time, it came to our border, jumped over it and continued!!! Years before that, I had a similar incident. At that time we were living in North Alabama and I had been invited to substitute teach at a Montessori school. When we received the "prepare to be iced in weather report", I started praying for no school closures. I had already planned to send the money I would earn to our sponsored child in Ecuador. It was incredible! The rain ceased earlier than predicted, but the temperature had already dropped, yet there was no ice. It was exciting to see a loving God reach out to the lost souls in our country, to a needy child in a distant land, and to us with our everyday minor problems. of me. I wanted to go to Africa and help too. In the meantime I LOVED doing service projects locally. Years later when my husband Don asked me what I wanted for Christmas, I replied, "I want to sponsor a poverty stricken five year old girl." Since I specified "where needed most", the agency selected Ecuador. Don traveled in his job, so had accumulated enough frequent flyer points for Mom and me to go meet her. I loved traveling, children, and new adventures and really wanted to go, but I asked God for a sign to insure that this was His will. I added that I wanted the sign to be so big there would be no chance of me inadvertently missing it. At that time, I recognized that doing otherwise could be disastrous. During my wait, I flew to Florida to visit my parents. En route back to Texas, I had to change planes. As I was turning a corner in the airport, there was an enormous billboard stating that "Continental Airlines now flies to Guayaquil, Ecuador." "God," I laughed, "that's a BIG sign!" So, mom and I got to go and we "muled" all the clothing, food, and Bibles we could carry. The trip was awesome. And, for the record, almost a half a century later, my husband and I finally had God's church to Africa, and it exceeded our greatest expectations. . . .
her distribute those and the pecans, a food none had seen before, but loved. Then it happened, as I was sitting near the church, which I interpreted as being the rock, the children flocked to me and Mom! In preparation for my mission trip to Russia, I was told that the people there had access to very little Christian literature. With help, I was able to locate and purchase Christian comic books in their language, but wanted to take even more of God's Word. At that time, I was working part time as a telephone prayer counselor for the 700 Club in Dallas. Each day they had some fun, little contests, and although I had done my very best, I had never won. But, since the prize was a tape of Pat Robertson's sermon, I had asked God to let me win so I could give it to the Russians. I even "sweetened the deal" by volunteering to take some abuse phone calls. At the end of the day, I did not win. En route home, I told God how disappointed I was. In my limited mind, I had prayed a perfect prayer, but I sensed the winner of the tape probably needed it more than I did, which is understandable. Just prior to my big trip, I flew to Florida to visit my aging parents. Without knowing about my prayer, Mom asked me if I'd be interested in some tapes Dad had accumulated. I politely responded that I'd look at them. He showed me a box full of Pat Robertson's taped sermons!!! Although it was a challenge, I was able to get all the tapes to Russia! I have learned that God often answers prayers with a "yes," "no," "wait," or "I have something better." In this particular case, His answer to me "wait, I have something better." I used to hear strong Christians say that they had heard from God, and I wondered how that was done. I discovered God often speaks silently through His actions. Using this story, for example, God said to me, "My precious child, I didn't want you abused, and I am the GREAT I AM who can give you more than you ever dreamed." When God said that I was His precious child, I know that is true with not only me, but with everyone-He sent His son to die for our sins (John 3:16). When I reflected back to the day I prayed for the tape, I didn't get a ministry day I had experienced to date! But wait, there's more...Although I was focused on giving God my best effort, not on winning a contest (except for that one day), God set it up for me to later win "The Prayer Counselor Who Went the Extra Mile" top award!!! In July of 1997, I had the privilege of teaching English as a second language in the KURE Language School in Turnopil, Ukraine. Since I would be working with the more advanced youth, I had planned educational activities that were fun and creative. For one of the craft projects, I wanted to have each student decorate a white T-shirt with a Christian slogan and simple picture, like a happy face. The directions and slogans were to be in English. Since we teachers were to provide all of the supplies, I was very concerned about having the right number of shirts in each size, especially in the small shirts. I felt that I should get three, but I wanted to be sure I didn't come up short (pun intended!). Before I went into the store, I asked God to let me find three of anything, like pennies, if that number was correct. If it wasn't, the number could be changed. After pacing in front of the store a couple of times, I turned the comer and there were three pennies, THANK YOU, LORD! I purchased the shirts and the students were pleased with the sizes and their assignment, and they did an outstanding job decorating them! (When the students wore the shirts, they became walking advertisements for our Lord). We were blessed with an adorable black cockapoo whom we named Kever. She could catch, fetch, roll a ball, silent bark, and come to a silent whistle. She had her own wardrobe including a V.I.P. (Very important Pooch) shirt and skunk costume. She loved everyone and saw no reason for everyone not to love her back. Even timid children, after seeing the others play with her, became transformed into a dog lover. After almost 18 years of life, her health and physical condition declined significantly. I prayed, "Lord, it is wrong to prolong needless suffering and yet it is also wrong to shorten life unnecessarily. We have asked You to take her peacefully in her sleep, but we now feel this is not Your will and we accept that. She has been unable to hold food on her stomach for three days. If she continues to have problems Sunday and Monday, we will take that as a sign to make that final trip to the vet. Amen." Interestingly, she was sick at 11 P.M. Saturday, but was okay Sunday and Monday, which led me to believe this was the "eleventh hour" or super close to the end. She remained stable for about three more weeks, then was ill again over the weekend. Again, we prayed for a similar sign and were told it was time to end the suffering. There is always sadness over the loss of a loyal friend and we all miss her. But, I felt that God had walked with us throughout the ordeal. He had given us the warning in November so we could make final preparations and He gave us a sign and confirmation so we would know His timing. Then He gave us a most appreciated gift-peace. Since then we have been able to offer emotional support to others with ill and/or aged pets, just as my friend helped us when she reminded us that God gave us dominion over the animals (Genesis 1:28). During a time when I was asking serious questions, my precious friend Jewel phoned and asked if I'd like to attend a prayer meeting with her and I said yes. She knew that I played an autoharp and asked me to bring it with me. Concerned that I might look pushy, I requested that she contact the leader and ask if she would like for me to bring my instrument. She immediately called the leader and within minutes called me back to say "yes." At the meeting I briefly met the leader and the lady who led worship. Happily, they invited me to play for the group. After the lesson we had a prayer circle. Being new, I closely watched the leader. All of a sudden her countenance changed and her eyes met mine from across the room. She then said, "Carol, God has heard your prayer and He is going to use you." I had never seen prophecy and word of knowledge like this before,. but I instantly knew she was hearing from God. That was my exact prayer, one that I had not told anyone on earth about and it has come to pass! While we were living in Alabama, we needed to find a good church home. Fortunately, I was wise enough to ask for divine guidance. Although I had been a faithful Christian, I was frustrated and told God that 3,000 people received salvation during Pentecost, but I wasn't seeing that kind of church growth happening today. Also, early Christians died for their faith, but now most people don't even bother to get out of bed on Sundays. Where's the power? He asked me if I really wanted that and I said "YES!" I felt that God said to me to "hold on" because I was in for the ride of my life (and He wasn't exaggerating). I checked out a church and was warmly greeted at the door by the pastor who introduced me to a very spiritual couple, who later answered my questions and showed me how to get this power. During the sermon, the preacher talked about the importance of attending Sunday School, a topic dear to my heart. He sheepishly admitted that as a child he didn't want to attend. As soon as he said that, a loud clash of thunder resounded throughout the sanctuary (with muffled giggles afterwards). As he was finishing his sermon, he alluded to that same point, which by that time the storm had moved quite a distance away . . . but sent another clash of thunder overhead anyway! Our family joined that church and were introduced to God's signs, wonders, and miracles, and I thanked God for His faithfulness and favor. Prior to leaving our home in Huntsville, Alabama for 15 years to move to North Texas, we received a prophecy from a trustworthy Christian that we would "have our church by February." Immediately upon arrival, we visited about five Texas churches before making the decision. I had prayed for God's direction and after each visit my husband, high school aged son, and I would "vote" if that is where we thought God wanted us. We had to be in agreement. I had reservations about the decision, but had pretty much decided to "go along with the guys." As I was driving home alone after the Wednesday night service, I prayed God would make His will clear. When I turned on Dove Road, I heard an audible voice stating, "You will not choose the church this time," and I didn't! After reflecting, I realized God had some special Biblical training and friends for us there. I awoke one sunny morning, and before I got out of bed I prayed. "Thank you God for ALL you have done for me, and I want to do something special for You. I have a free day-nothing is on my agenda-and I give this day to You. Please tell me what YOU want me to do. Amen." As I quietly and patiently lay there, I heard nothing. As I continued to listen, the phone mug. It was my good friend Carol inviting me to go swimming with her at an upscale pool. Since I had not heard from God, I accepted. 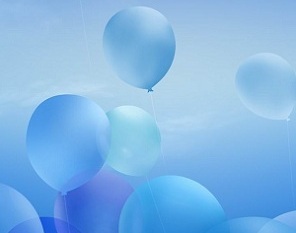 I told God that I was very disappointed and to please make a note that I had offered Him the day! We drove to the private pool where we fellowshipped and had an absolutely delightful time swimming. Later I returned home and prayed, "Wow God! Getting to answer spiritual questions in a classy pool complete with a waterfall and beautiful surroundings was awesome! Thanks!" We had a long distance call from Don's Uncle Bob who told us Aunt Margie had a growth on her vocal chords and was to undergo surgery the next day. Both were understandably frightened because the tumor had grown so rapidly that it was probably malignant and there was concern she would permanently lose her voice. We knew it would be agonizing for her to face this surgery. She was a good elementary school teacher, sang in her church choir, and was well loved; so we all wanted her health restored. He requested prayer. As I was vacuuming my dining room area, I was interceding with all my might asking God to please spare her from this horrible fate. I was fighting back tears as I prayed fervently for her healing. What happened next was a supernatural occurrence. It was like a hand came down from heaven and pulled out all of the stress starting from my lower body and exiting at the top of my head, and I was flooded with peace. A couple of weeks later Aunt Margie called to tell us she received total healing. There was, much to the astonishment of the doctors, no trace of cancer and the vocal chords were unimpaired. She commented that just before surgery she had made the decision to accept whatever happened. By placing her problems in God's hand she had obtained peace. I asked her about what time did that occur and I factored in the one hour time zone difference. We both received total peace at exactly the same time! Members from our church were invited to minister to the First Nations people--they prefer to not be called Indians--in Northern British Columbia, Canada. After a powerful time of praise and worship at their church, our leader asked for anyone needing healing to please raise his/her hand. An older lady, who had undergone surgery for her leg, was still experiencing problems, so I told her that God could heal her and we prayed. To make the prayer stronger, we quote scriptures over her like "By His stripes we are healed" (Isaiah 53:5). Minutes later she gratefully explained that she could finally move her leg without pain. Her healing also helped the people see how much God loved and cared for them, plus it blessed us workers to be part of this awesome miracle. Years ago, while we were at our Christian Women's Fellowship meeting, I noticed that our guest was looking very sad. As I got to know her, I learned she had been through some very difficult times. One afternoon while I was home alone, I wandered into the kitchen and my eyes were immediately fixed on the phone. The strong thought ran through my mind that I was to call her. So, I dialed her number and got her answering machine. Basically, I told her that I knew she was at work, but that I wanted her to know that I was thinking about her and praying for her. Then I ended with a positive comment and the blessing, may you have a blessed day, or something on that line. Sunday when she came to church, she thanked me for the call. She had encountered some stressful things happening at work and my call was made at the exact same time that occurred! She also said she left my message on her recorder because it cheered her up. I told her that God led me to call and that encouraged her immensely. We had recently moved to Texas and our family had settled in the new house we felt God wanted us to build. Our next hurdle was landscaping the rocky yard. While my husband was at work and our son in high school, I removed bunches of rocks. I started early and by midmorning, I was hot and tired, but determined to take out a foot long rock which would prevent grass from thriving in that area. Dressed in slacks, a long sleeved shirt, high boots, a face protector, and thick gloves, I used the pick to try to dislodge the rock. It was immovable. So, with all my might I hit it with the ax, cleared away the debris, and hit it again. The fleeting thought, "Oh God, it would be so helpful if you just cut this rock in half," went through my head. This time when I hit the rock three times with the ax, removed the broken pieces, and tried to move the rock, I was successful. I carefully lifted out one fairly large piece, then removed the second piece. When I saw the pieces together, it looked like a heart that had been broken in half! The neighbor's lovely home across the street from us was abandoned and subsequently foreclosed. During some spare time, I went over and pulled weeds from their driveway. Later, I pulled down some vines that were growing over the window, so that the property would look a little nicer. After I returned home and showered, I started itching and scratching, not realizing I had gotten into poison oak. I ended up at the doctor's office three times trying to get relief. I looked disfigured from the swelling and was miserably uncomfortable. Then I became so nauseated from taking medications I could barely function. I did manage to put on a praise tape and sing along feebly as I tried to recover on the recliner. I stumbled into bed and asked God to help me feel better, so I could attend our Christmas Sunday church service. It was to be our celebration of Jesus' birthday and I had planned to give Him a special offering. Don was recovering from surgery, so I couldn't ask him to set the alarm or awaken me the next day, so I asked God to do it. The next morning I woke up feeling significantly better, and as I was lying in bed I heard an audible voice speak my name, so I knew it was time to get up. I marveled that the Creator of the Universe loved me so much, He would heal me and send me my personal alarm clock! Our trustworthy son was now in high school and I wanted to go back to work. After searching the Want Ads, I got an appointment with the owner of a hearing aid business. Being a very non-technical person, I needed to see how difficult it would be to run the hearing test equipment. After a brief demonstration, I realized it was within my capabilities without being stressful. I received an application and later filled it out. Then, I put my hand on it and said, "God, I want this job and if this is your will please open every door for me. If not, close it gently." I had two "concerns" about the job: One was the owner really didn't want to hire a woman, but I felt that I could win him over. The second one was the unanswered question, how does he treat the poor people. I didn't get the job and I've learned it's okay to be real with God and tell Him I was disappointed. I did tell Him that I understood that He knew something I didn't, and/or may have something better, so I thanked Him for His divine protection. Interestingly, while I was hosting our prayer group, I told the group what had happened. One of the very godly members commented that maybe I wasn't supposed to work right now and should wait. So I spent the summer removing flocked wallpaper, painting, and getting the house updated. Then my husband announced his company was closing their Huntsville, Alabama office and he had received his transfer request to Texas. I thanked God because now the house was at its best and we were able to get a better price for it. After we had our Texas house built, we met an impressive young lady who had completed college, obtained a good job, and had lived at home just long enough to save sufficient money for a down payment for the house next door to us. Not long afterwards she started dating a handsome young man. Shortly thereafter they became engaged, and I received their wedding invitation. Although he was a great guy, I had some concerns. One can love someone, but that person may not always be God's best choice for them. I prayed that if this marriage was God's will, He would open the door for them, but it wasn't His will, He would close the door gently. Not long after that I received "the marriage will not take place" announcement. I noted the canceled date and took her a healthy baked treat. She sadly said, "Today was to be my wedding day," and I responded, "I know. That's why I am here." It was later, after she had married Mr. Right and subsequently had three handsome boys, that I told her about the prayer. She agreed that the first guy had not been right for her and that she was very happy now. Shortly after we moved from Alabama to Texas, I woke up in the middle of the night and saw a "presence" standing by my bed. He was dressed in a black robe with an attached hood on his head, so I could barely see his face. (He reminded me a little of Darth Vader, the Star Wars movie villain.) I was too terrified to scream, but I knew I had to get away from him, so started crawling diagonally across our king sized bed as fast as I could. Fortunately, my husband Don caught me or I would have probably injured myself falling off the bed. This scenario happened twice. It took a few months for me to "sort out" what had happened and understand "why?" I researched "night terrors" and realized that one outgrows them at the age of 5, so eliminated that cause. Then one day when I went outside to get our mail, there was a plastic PRIORITY bag hanging on our mailbox. A precious friend from Arizona had sent the book, This Present Darkness by Frank Peretti. Before that, one of the ladies in our Alabama prayer group had offered to lend me that same book, but I was on "overload" packing to move and getting the house sold, so declined. I immediately realized I had made a mistake by not making the time to read it, so I quickly apologized to God and started reading. . . .Approximately 1/3 of the way through the book was a description of what I had seen those two nights. I had grown up with the understanding that demons were just another name for diseases, but I was starting to see things differently. After thinking about it, it made sense to me that there is God/good versus devil/evil. Since God has angels then the devil would have demons. I recognized that God allowed me to see this for two reasons. He wanted me to know that not only do demons exist, but there were various positions or levels of importance and power. And, since what I saw was one of the "higher ups," Satan considered me to be a threat and I needed to learn to protect myself and others. Years ago I had a terrible nightmare that a married couple whom I dearly loved was getting a divorce. When I awakened, I was so distraught that it totally ruined my day. Being a fairly "observant person," I had seen no outward signs of dissension or problems, and no one close to them had ever mentioned anything on that line to me either. So, I wasn't sure if God was trying to warn me or what. Approximately ten years later I got "the phone call" informing me of the divorce. Although I was upset, God had graciously warned me so I would be better able to handle the situation and not say or do the wrong thing. Although I knew having a cola wasn't good for my sensitive body (and I had been pretty good about abstaining), our gas station had a "promotional" free drink with a fill up. While my husband pumped the gas, I went inside and filled the small cup and en route out the door I realized there was a hole in the bottom of the cup which left a trail on the floor. I should have realized that I wasn't supposed to have that cola, but it was "free" and was "calling me," so I put a cup under the damaged one and returned home. I rationalized that I was going to share it with Don, who really should not have consumed it either. Well, when he picked it up, he somehow missed holding the undamaged cup and it spilled down his freshly washed, starched, and ironed white shirt and onto my clean kitchen floor. I realized that God reveals things to us in different ways, and this crazy comedy of errors let me know in a playful way, that I had been disobedient. God wants us healthy! I apologized and am focusing on being all He has called me to be. Like many people, waiting is difficult for me. I read through the Bible every year, and after I saw the part where Abraham and Sarah had to wait so long to have baby Isaac, it bothered me, especially since I had to wait too, but not nearly as long. I told God, "You know and see things we don't and I wanted to better understand 'why?'" It took a while to get the answer. After a few years of being a mom and further studying, I realized they were not waiting on God, He was waiting on them. It's critical that we be patient, so we can obtain God's best and His protection. Abraham had to remove himself from the pagan religions, which he did when he relocated, then he had to learn more about who God is and what He wants. Children learn from their parents, and as parents they had to be the best role model they could be so Isaac would become a Godly leader of a new nation. I would certainly be remiss if I didn't include the "O God, Help!" prayers. There have been so many times when I felt I was in over my head, and God quickly came to my rescue. Probably my most memorable prayer was when I had just taught a Biblical foundations class and was praying over each member. I've since learned to stand in front of the person, not behind, like I did when I drew a big blank. The person had beautiful black curls and I panicked because I remembered the two other ladies, but not this one. Anyway, I sent up an "O God, Help!" prayer and God graciously gave me the words, "I want to encourage you to speak out more. People want and need to hear what you have to say." He told me later that he had been feeling that he should do that and was grateful for the confirmation. Yes, I thanked God for covering me! Most of my "O God, Help!" prayers come when I am driving and a road sign is missing, not well marked, or I'm in an unfamiliar area and/or lost. During this time, I don't have the opportunity to communicate details, so this type of prayer is okay. God cares about every detail about our lives and He is just waiting for us to ask for His divine assistance. Have you ever made a special effort to purchase just the right gift for someone and it's received, but a "thank you" is not even mentioned? That could bring hurt feelings. Then I thought about how God must feel when He does so much for us and is ignored or forgotten. I have learned to show appreciation for everything, especially a gentle breeze while mowing the yard on a hot Texan day, a spectacular sunset, and divine protection. . . .Also, why should God give us more when we complain about what we have? Years ago when Don and I had just become engaged, our Houston church choir members gave us a lovely wedding shower. One of our older members presented me with a gorgeous corsage she had made from the flowers in her garden. I loved the gift and told her how impressed I was that she made it. I followed up with a thank you note which included a comment telling her how I had carefully preserved it in my refrigerator that night, so I could wear it to work the following morning. I added that I had received lots of compliments on it. The next Sunday she said that since I had enjoyed the original corsage so much, she brought me another one! God is like that too. . . Being a "people watcher" I have noticed people from all walks of life, and those who accept Jesus as their Savior and follow His ways are happier and have a richer life than those who don't. Lord Jesus, I accept You as my personal Savior and want to serve You all the days of my life and spend eternity in heaven with You. I believe that You, Jesus, died on the cross for my sins and after three days were resurrected. Please forgive me for all of my sins and help me to not make the same mistakes again. I want You to live in me and guide and direct me all the days of my life. Amen. Next, you need to find a good church and get baptized and get involved. Congratulations, you've just made the best decision of your life! This Encountering God book with Encountering God story with Encountering God message and all of its Encountering God book contents are copyright protected and should not be reproduced, copied or sold in whole or in part without express written permission from Christianity Oasis Online.